If you have been keeping up with our Photo Contests, no doubt you are familiar with the faces of these two riders, with excellent entries in both of our first two contests. With the end of the year, we decided to catch up with them to see how things have been going with them over the past year. PL: So, what have you been up to in 2010? 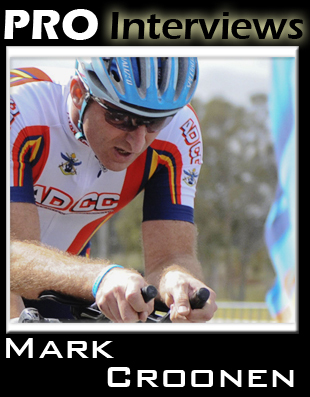 Mark: Undoubtedly the highlights for me this year was the Canberra Tour and my first official Audax Brevet event. 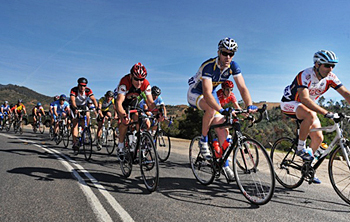 The Canberra Tour is 2 day tour made of 3 stages (see more about Stage 1 and Stage 3) and lots cat 4 climbs and when you weigh in at 86kg that is a challenge. As usual the tour had everything, crashes, mechanical mishaps and fog, nothing quite like descending into a valley with 40 riders at 60km/hr and having the fog reduce visibility to 100 metres. It was a great tour result with a 2nd in the GC and KOM finishing on 10 seconds off the lead and it could have better except for my Andy Schleck impression and dropping my chain at the start of the Time Trial stage. The 3.5k time trial up Mt Stromlo. I always knew this was not going to be my thing and my start didn't help. Seconds before the start, I back pedalled to get my feet into position and dropped the chain. "Stop the race" I thought, "back pedal, back pedal", trying to get the chain back on, that's not working. Off the bike, fix the chain, "which chain ring should it be on?" don't care just get it working. Back on the bike, lots of colourful language helped focus me again. I managed to get going but I was definitely rattled. I figure I had lost at least 10 seconds. Getting near the top I caught the rider in front of me but my chest felt like it was going to explode, I was struggling to draw to breath and pedal. I was definitely in my own little world of hurt. I knew I only had about 300 metres to go but pedalling 300m was never so hard. Crossing the line was a great sense of relief but I knew my race lead was in trouble and sure enough moments later I saw my rival cross the line and I'm thought "oh that's not good". As it turns out James had posted the best time for the time trial. One thing that makes me smile is fact that James (third place) was 16 years younger and 22 Kilos lighter than me and, 3000m of climbing it proves you are never too old to give it go. For those of you who have never heard the term Audax, it is a style of long distance cycling event mostly popular in Fance. Riders are free to cycle at their own pace, stop or sleep wherever they want and form groups randomly, provided they stay within the time limit. Sleep you say, well Audax events are typically 200, 400, 600 and 1200k, with most famous being the Paris-Brest-Paris (PBP). 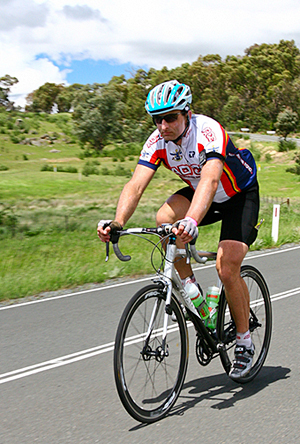 The event was the Fitz's Challenge Epic which is 207k long and with close to 4000m of climbing the organisers call it a hill grinding odyssey. I called it the ultimate 250k road test for my new ProLite Gavia wheels. Why 250ks? Well not content with the standard 207k I chose to ride out to the event. There is nothing quite like getting up at 4:30 in the morning to ride off in the dark and it is raining. may not be the best choice for a hilly ride like this, they vindicated themselves in other ways. Firstly the stiffness of the wheel was wonderful, so much better than my other wheels. This was evident of the flatter sections with the wheels delivering great power transfer to the road. The handling on the descents was also noticeably better and when you are descending at 90 km/hr you want to trust those spinning things under you. The wheels also held up really well with the cross winds. In terms of value for money, these wheels are right up there. Being on an Audax means being resourceful as they are an unsupported ride, so it never hurts to be a bush mechanic. owing to the heavy rain at the start of the event my chain was completely washed clean of any lubricant. By the 160k mark this was presenting itself as a really squeaky problem. As I had no chain lube on me I turned to the next best thing, Sunscreen, yep I coated the chain in my sunscreen and it worked a treat. It must have worked, because the by the end of the day the chain showed no signs of sunburn. PL: And how was 2010 for you? 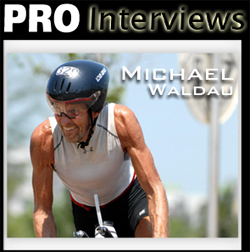 Michael: Had a banner year: 1 overall win at a tri and 1 overall win at a du (O.K. - not a cast of thousands, but a win is a win ...), plus age group wins in 2 other dus and 3 tris ("full-sized"). 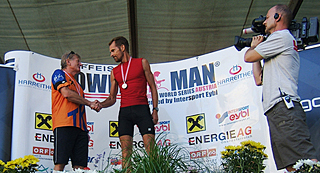 Qualified for "Team USA" and for "Team Austria" in long-distance duathlon category, winning the National (A.G.) Championship in the process. All except the Austrian title were on the PRO-LITE equipped CEEPO of course (I loaned a Cervelo from a good friend in Austria, so as not to have to schlepp - and pay for - the extra luggage). Michael: Added the finishing touches to my CEEPO: PRO-LITE white saddle to complement PRO-LITE wheels (Vicenza) and aero bars (Trieste / EPO Plus). Very sharp outfit now, and highly functional. Once I dialed in a few tweaks to the aerobars I feel they should be re-named "Zen Bars". You truly "become one" with the bike, it's an awesome feeling that I never quite experienced with other bars. PL: Anything new and exciting that you have seen that you are drooling about? Michael: MIZUNO WAVE UNIVERSE 3! OMG - they are absolutely the obscene-lightest running shoes on the planet! They are hard to find, but "I got mine" waiting for the next big running race. PL: Do you have any goals for 2011? 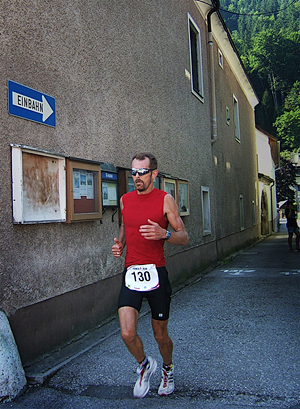 running season in early 2011, using my "Unfair Advantage" MIZUNOs. 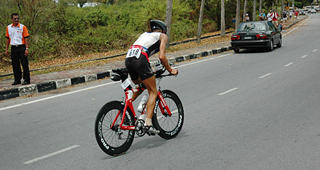 And I signed up for the inaugural Ironman Texas in The Woodlands (45' north of Houston) on May 21. I'll try for a podium A.G. finish - but should easily win the "best of show" (bike) award! PL: Well, we wish the all the best of luck in the coming season and we feel confident that you will do well with all the 'secret weapons' at your disposal. Heck, you'll do well even without them! We've seen the proof. PL: After this article was posted, Michael took a moment to give me his feedback and a glimpse into his thinking with this fine tale. I liked it and felt that it was quite appropriate to the tone of the reflecting back and looking forwards. Michael: There is an ancient Native American story about an old Cherokee who told his grandson about the battle that goes on within us. "My son," he told him, "Inside every one of us dwells two wolves, one evil, one good. The evil one is angry and jealous, full of regret and arrogance, greed and sorrow, guilt and self-pity. The other is good. He is kind and loving, full of hope and peace, joy and compassion." The young boy thought about it for a moment. "Which wolf wins?" he asked his grandfather. The old Cherokee smiled and simply replied, "...the one you feed." Take a moment during this holiday season to feed your inner wolf, and be sure you feed the right one in 2011 and beyond! PL: Couldn't have said it better myself.